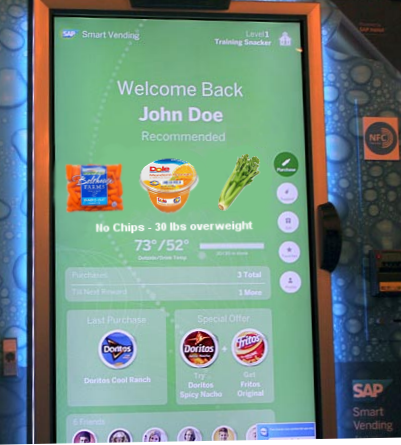 Is this the future of vending? The world’s first vending machine with facial recognition technology has been unveiled, and it could refuse to vend a certain product based on a shopper’s age, medical record or dietary requirements. What would happen if vending machines started presenting us with screens like this? Two forces are at work here: HIPAA privacy requirements which have burdened the medical establishment with hippopotamic and time-consuming (but perhaps necessary) paperwork and procedures, and the free availability of information as demonstrated by the recent hack at Sony, only one of many over the last years. I’m not really sure which way this trend is going to go, or what my grandchildren will see; I can only hope it doesn’t devolve in the direction of telescreens and thoughtcrime. 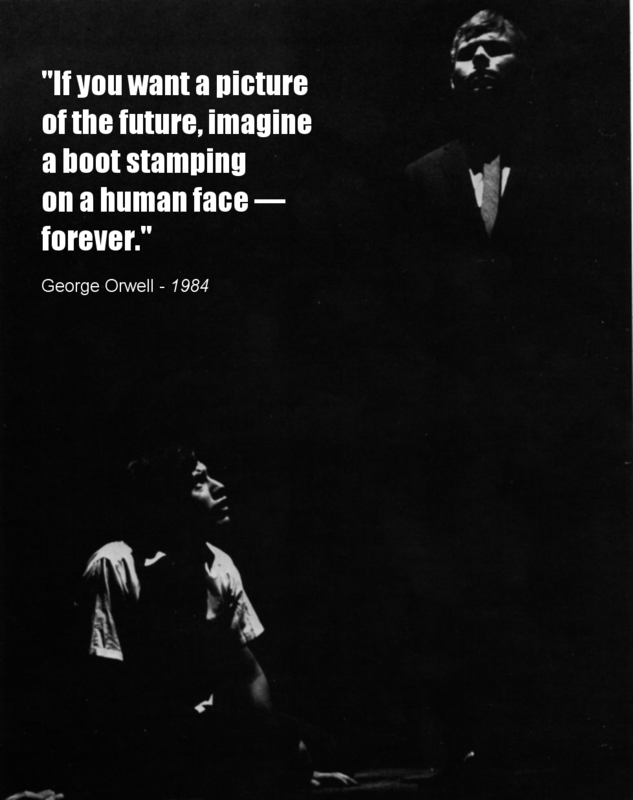 While I’d like to think that this is just satirical drivel, there are undeniably Orwellian trends taking place in our society today, witness the massive spying on American citizens by government agencies which were revealed by Edward Snowden. It is my hope that this trend can be reversed. This is all rather heavy and depressing and far removed from vending machines… or is it? This entry was posted in Advertising, Selling it, Social Folly and tagged Social Control, Vending Machines. Bookmark the permalink.